After a glaucoma diagnosis, it's challenging to determine the rate at which the disease will progress. In some patient it develops slowly, where in others it advances very quickly. In either scenario, vision loss is an eventuality; the only question is how soon. A new, highly advanced contact lens aims to answer that question more accurately. A study in the upcoming April edition of the journal Ophthalmology details how a smart contact lens can send signals containing data collected about the eyes of the wearer. This information can be used to more accurately predict the future health of patients, allowing for better treatment. The information gathered from these lenses can be used to measure the patient's current eye health, give faster and more accurate feedback on the effectiveness of prescribed medications, and make estimates on the rate at which certain conditions may progress. “You can see how their eye is reacting to the therapy in a much more meaningful way,” says study author C. Gustavo De Moraes, M.D., MPH, an associate professor of ophthalmology at Columbia University Medical Center. One of the metrics that can be measured by these contact lenses is internal eye pressure, which is the only known controllable risk factor for glaucoma. Current estimate is that in England and Wales, more than 500,000 people have glaucoma but many more people may not know they have the condition, and that nearly 3 million people in the United States are affected by glaucoma, the nations leading cause of blindness. 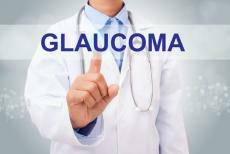 It's recommended that glaucoma patients have their eye pressures measured regularly by their ophthalmologist. This gives occasional data points for doctors and scientists to work with, but data on eye pressure in between visits or at night during sleep is lacking. Having this information would help manage, and possibly cure this disease. The lenses work by measuring changes in the curvature of the eye. As pressure increases and decreases throughout the day, the shape of the eye will change, which is detected by the lens, which then sends measurements wireless to a data collection device. Research was done at Columbia University on 40 patients, with ages ranging from 40 to 89, each currently receiving treatment for glaucoma. Each patient was subject to eight standard vision tests over a two year period. Half of them were determined to have a slowly progressing form of glaucoma, and the other half were progressing quickly. After the patients wore the monitoring contacts for a period of 24 hours, even while they slept, it was learned that patients with steeper spike in eye pressure over night, and with a greater number of peaks in pressure throughout the entire test tended to have glaucoma that progressed more quickly.